VELA Blues 300 is a small, compact power chair for active adults and children with limited mobility and special needs – for indoor use at home, at school or at the workplace, and for short outdoor trips on level ground. 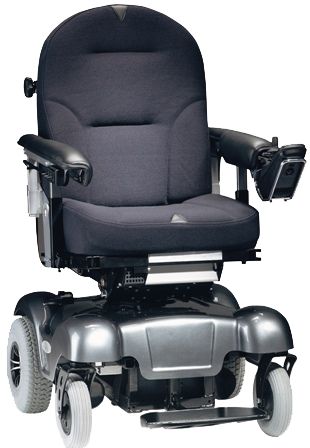 The chair has a tight turning radius and is the only electric power chair with a 360° swivel seat unit and both front- and rear-wheel drive. The seat unit is easy to swivel using a handle, which is an advantage if the user wishes to turn back and forth, in the kitchen for instance or sitting at a table, without needing to turn the entire chair. 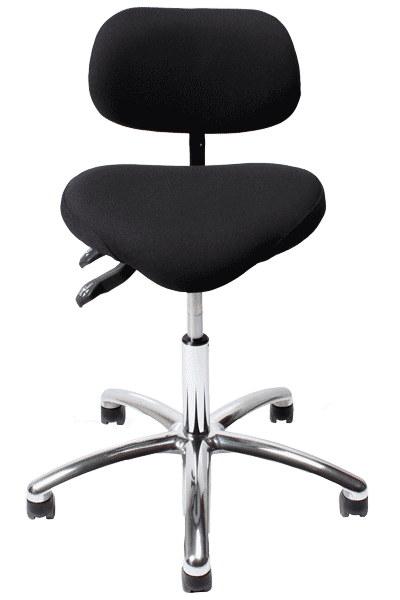 The swivel seat will also come in handy when moving the user from the chair to a car. The chair effortlessly shifts between front-wheel and rear-wheel drive according to the user’s needs, which also makes the chair more easily recyclable. A perfect all-round chair. VELA Blues 300 combines an ergonomic comfort seating system with optimal drivability and manoeuvrability, ensuring comfort, mobility and safety for the user. VELA Blues 300 comes with an SW comfort seat and backrest in a range of widths from 35 cm children’s seats to 50 cm seats for large adults. The entire seat frame may be adjusted to the widths of the seat, which makes it easy to change the seat, for instance when a chair is recycled or when a child grows too big for the seat. 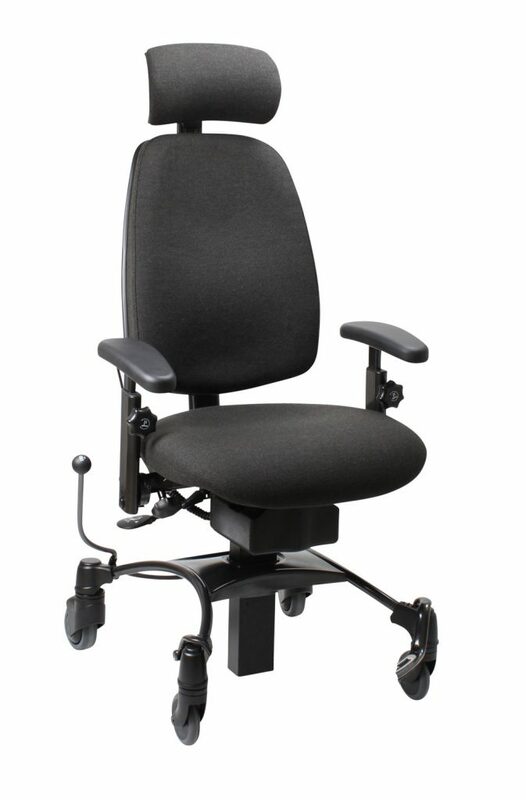 Standard equipment includes height-adjustable comfort seat, tilt seat and backrest, manually adjustable back and height-adjustable armrests, but the chair may also be tailored to the needs of the individual user through a number of adjustment options and a wide range of accessories and extra equipment. 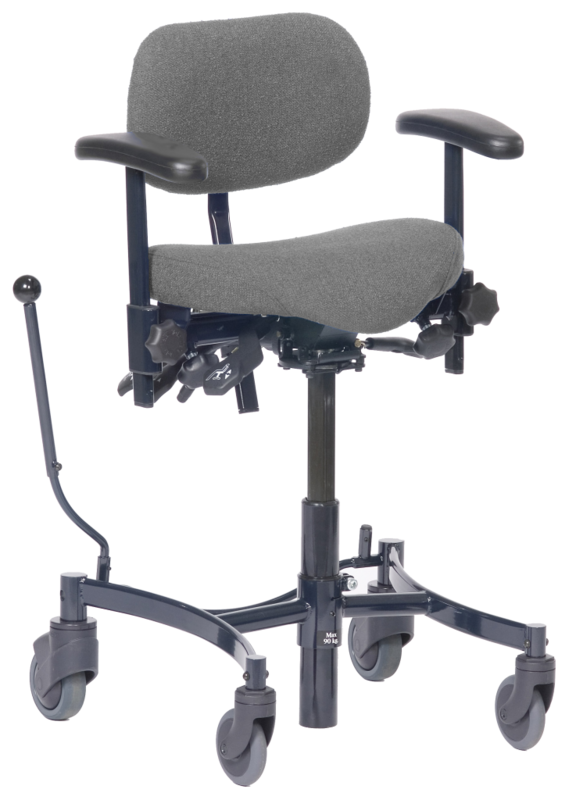 Safety and quality: VELA Blues 300 is a stable chair, easy to manage, easy to drive and easy to maintain. The chair has been crash tested, and fitted with a crash test kit it meets the requirements for using the chair as a car seat. VELA Blues 300 has been produced according to VELA’s high quality standards, and it complies with all applicable requirements and standards.